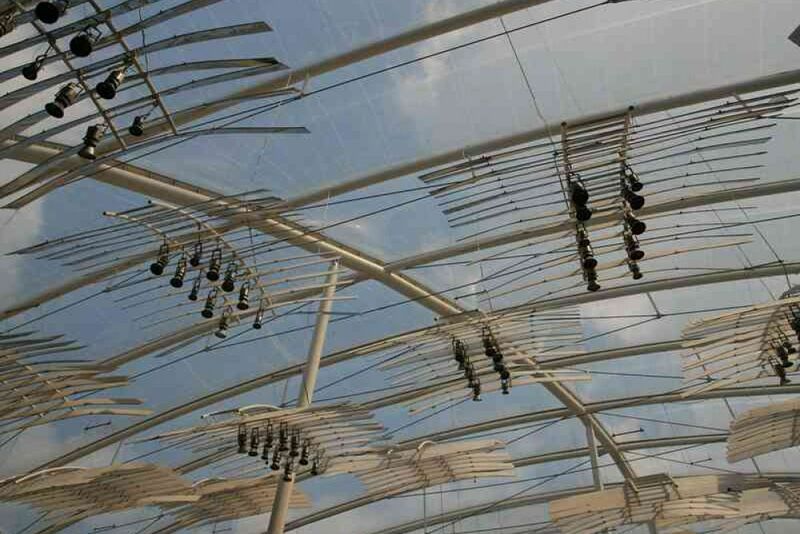 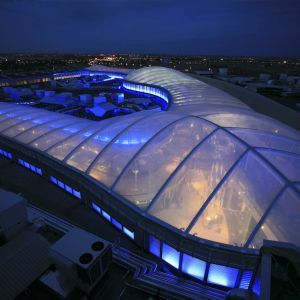 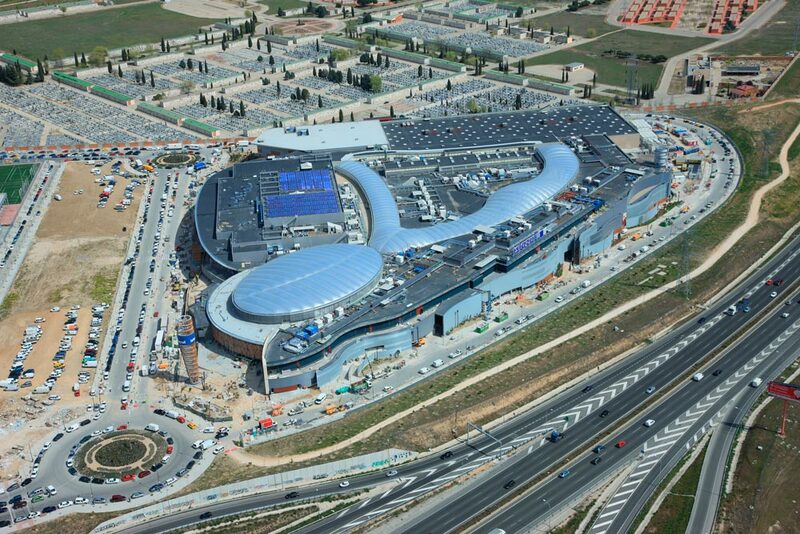 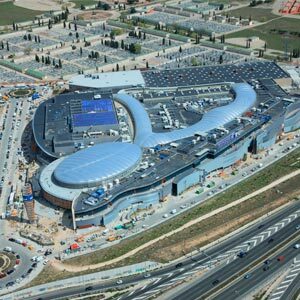 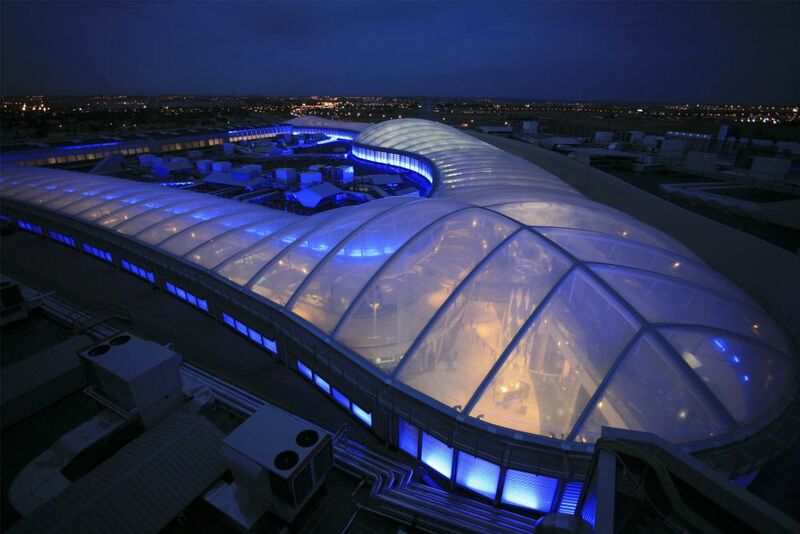 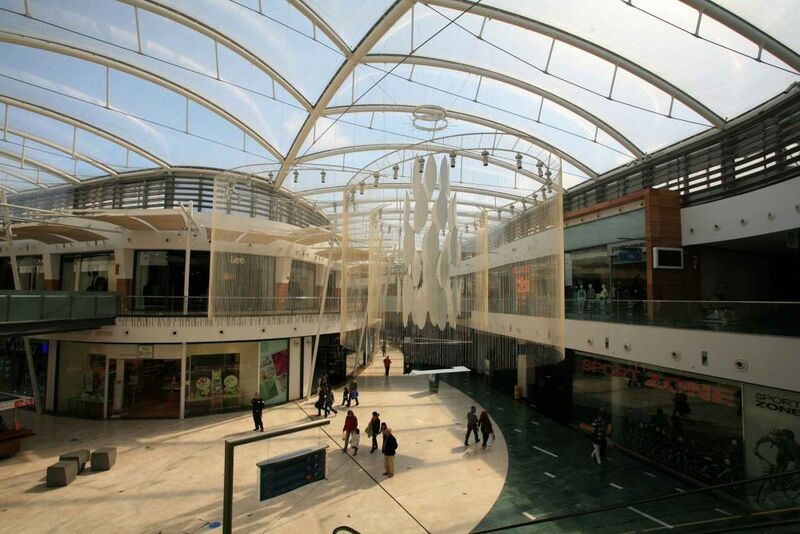 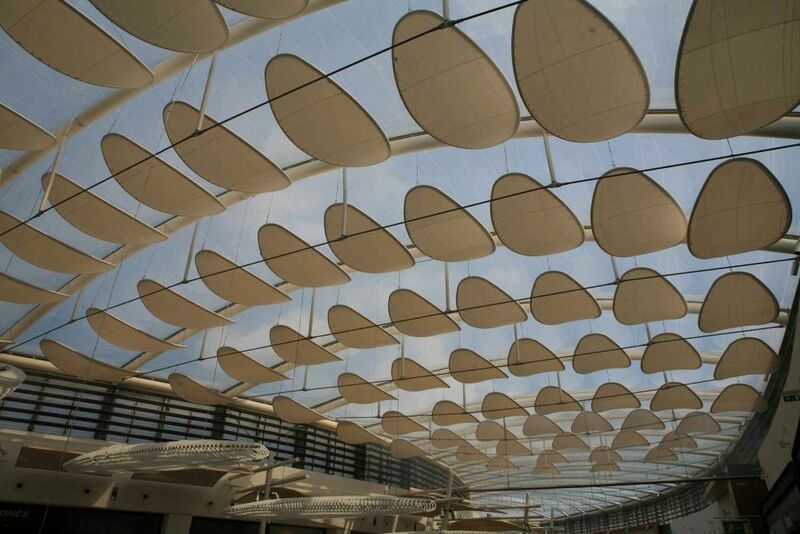 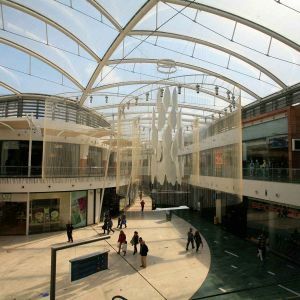 Islazul was the first commercial centre in Spain to incorporate a transparent ETFE covering. 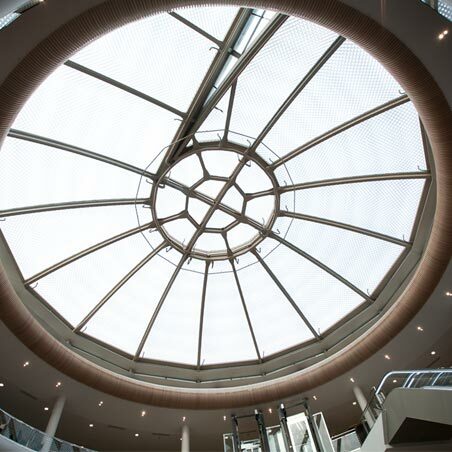 The more than 100 double-layer cushions that cover the skylight of the building give shape to a unique and singular structure. 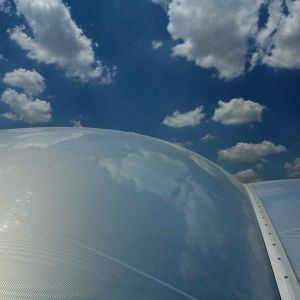 ETFE double-layer cushions of 250 microns printed / 250 microns transparent. 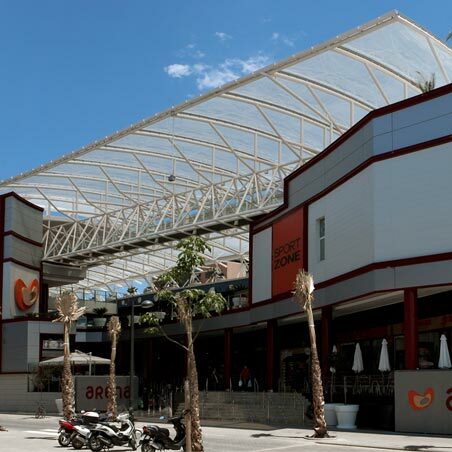 Plaza Caraba is noted for its elliptical shape and its dimensions of 80 m long by 54 m wide. 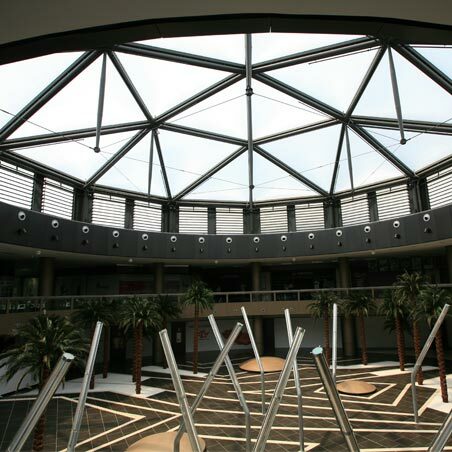 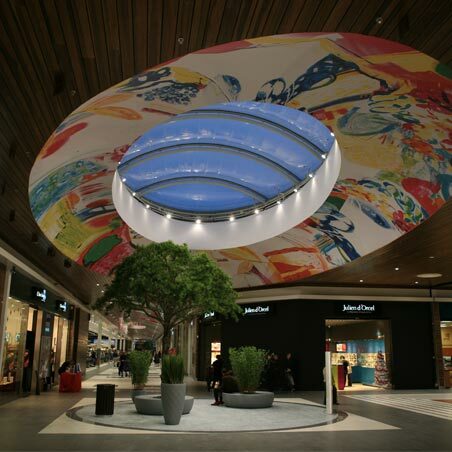 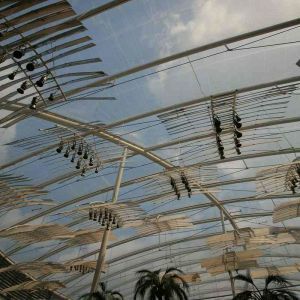 The other large skylight is in the shopping mall, where the cushions range from 12 m to 30 m long, with a separation between modules of about 4.4 m. The covering is notable for its transparency and the lightness of the metallic frame. 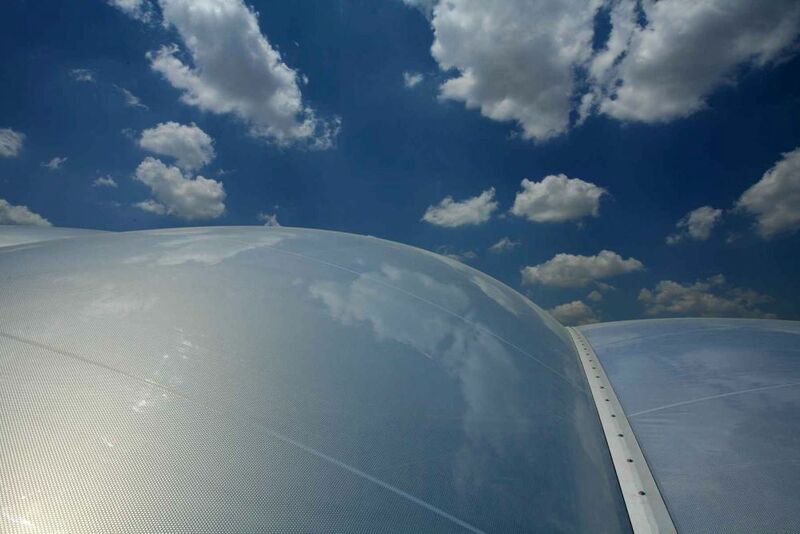 Light transmission and solar radiation are reduced by printing on the outer sheet. 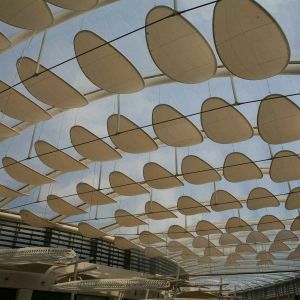 In addition, interior elements are incorporated in some areas of the building to improve sun protection.